The average ESG Quality Score has risen across equity funds in each of the past 15 months with an average monthly increase of 0.45%. The increase in average ESG Quality Score from August 2017 to August 2018 was 5.5%. The accompanying graph shows the monthly average ESG Quality Score across equity funds in Fundata’s database. The biggest addition to the top 10 is Cott Corporation, which provides “water and coffee services.” The company states, “Our brands are committed to a sustainable future. We take advantage of environmentally friendly processes that support the health of the planet. We are also committed to giving back to the communities we serve. Our successful sustainability programs have saved money, reduced landfill waste, and overall fuel consumption.” that an ETF was traded out of the total number of trading days, the highest being 250 out of 250 or 251 out of 251, depending on the time frame. Of the ETFs that have filed ETF Facts, just over half have traded every day, while about 10% have traded less than 100 days during the year. The smallest number so far is 17 days out of 250, which works out to less than two days per month. 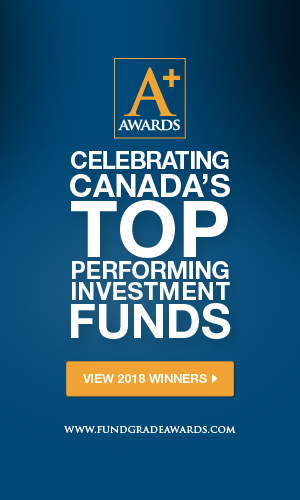 Fundata Canada Inc., and is Chairman of the Canadian Investment Funds Standards Committee (CIFSC). This information is not intended to provide specific personalized advice including, without limitation, investment, financial, legal, accounting or tax advice. No guarantee of performance is made or implied.